Beachfront Homes on the Olympic Peninsula are not easy to find, especially the kind of beautiful and modern beachfront homes most buyers today would like to own. Of course, beachfront homes are more expensive than similar homes with no beach, so if you are looking at beachfront homes, you’ll see the premium these homes get in the MLS. The home in this photo just sold for $900,000, and I represented the sellers. This gorgeous custom built home is located on the beach of the Strait of Juan de Fuca just a few miles north of downtown Sequim, and is near the center of the Sequim Blue Hole. 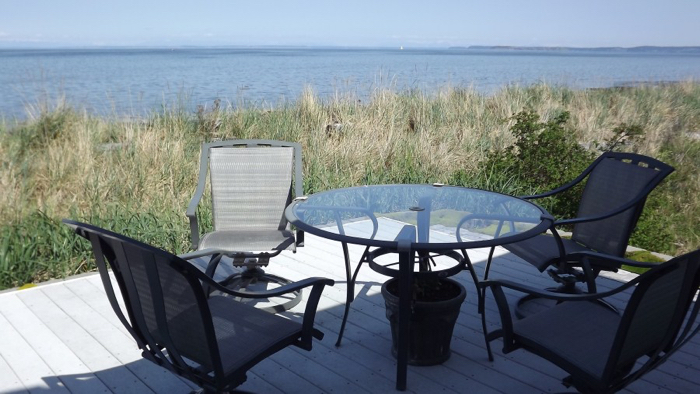 The water view includes a view of the Sequim-Dungeness Lighthouse and the San Juan Islands. You can search for homes in the MLS on the beaches and with water views on two main MLS sites. The first includes all listings from the Olympic Listing Service MLS, and the second includes all homes in the Northwest MLS. Bluff Stability is no small matter if you are considering a home on a bluff of any height. Most bluffs along the Olympic Peninsula are stable, not not all. The Sequim Buyer’s Guide can help you know how to do your due diligence on important issues like bluff stability. 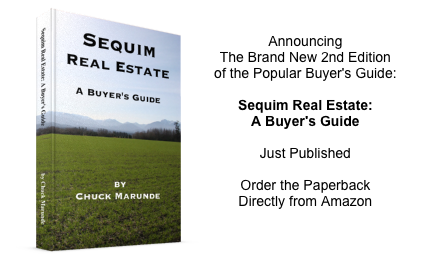 The all new 2nd edition of Sequim Real Estate: A Buyer’s Guide is available on Amazon.com. 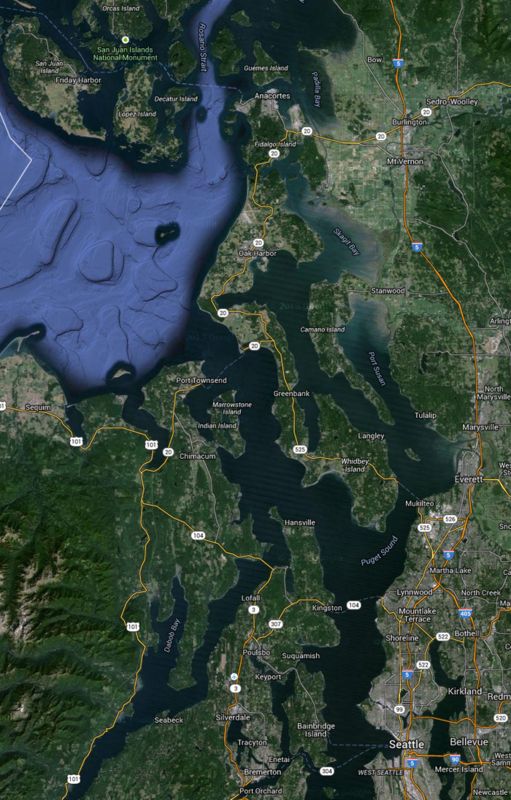 This Buyer’s Guide has been very popular with buyers looking at Sequim and Port Angeles and Port Townsend, including buyers in more than 25 states from Alaska to Florida and Hawaii to New York. 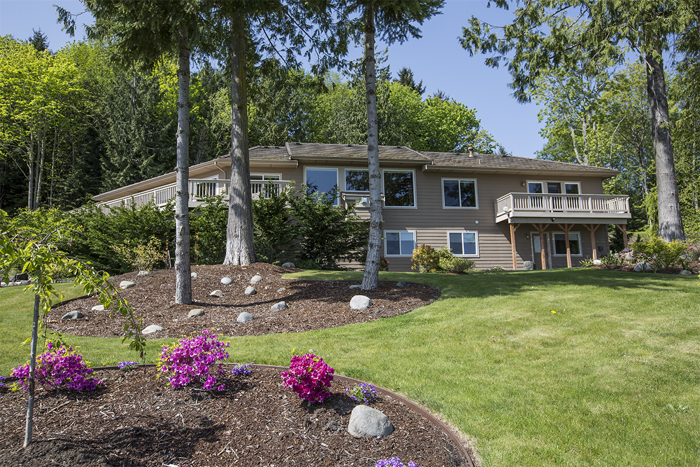 In the book Sequim Real Estate: A Buyer’s Guide, I provide a bullet list of issues that help to understand bluff stability, and a buyer’s options when looking at a property on a high bluff. This Buyer’s Guide is the result of over three decades in real estate, including 20 years as a real estate attorney. Chuck Marunde is the author of a number of real estate books, thousands of articles about buying, and he’s a top selling buyer’s agent. Chuck was just awarded the prestigious Five Star Real Estate Award for 2014, an award granted to less than 7% of over 25,000 Seattle area agents. If you’re going to spend six figures on a home in Sequim or Port Angeles, $29.95 for this Buyer’s Guide is a bargain. You can order directly online from the publisher at Sequim Real Estate: A Buyer’s Guide, or in a few days you will be able to order directly from Amazon.com, too. The book is full of practical advice for buyers of Sequim real estate as well as Port Angeles real estate and Port Townsend real estate.